One of the most important fun facts about a Montpellier is actually related to its origins. Namely, this is one of the larger cities in France that doesn’t have Roman roots at all. Still, this doesn’t mean that is should be avoided on the tourist map, and you’re about to discover why it has recently become a must visit holiday destination. Its close proximity to Mediterranean cost, and consequently a mild, sea climate, where temperatures only occasionally hit extreme values, as well as obvious Spanish and Catalonian influences have truly created a unique ambience here, additionally enhanced by rich Jewish and Islamic cultural legacies that are obvious in many aspects of its authentic lifestyle. There’s no wonder this city has recently become a popular destination among different sorts of tourists but also a place where business deals are getting their epilogues. It’s one of only a few French cities where economy constantly grows, without affecting its traditional medieval charm. Here you will find numerous tourist attractions and fine Mediterranean cuisine restaurants that will awake all your senses. Here, you will enjoy purchasing designer brand items. Luxury comes kind of natural in this vibrant city that has a status of university center for a very long time. A perfect combo for all those looking to let go in utter, undisputed enjoyment that only Mediterranean region has to offer! This city is located 170 km (106 mi) from Marseille and 242 km (150 mi) from Toulouse, making it strategically perfect in terms of exploring the picturesque, nearby areas. And it would be a real shame to bypass these locations, especially during the warm summer months when one can indulge in a perfect ride, especially in a refined coupé, such as, for example, Porsche Panamera. 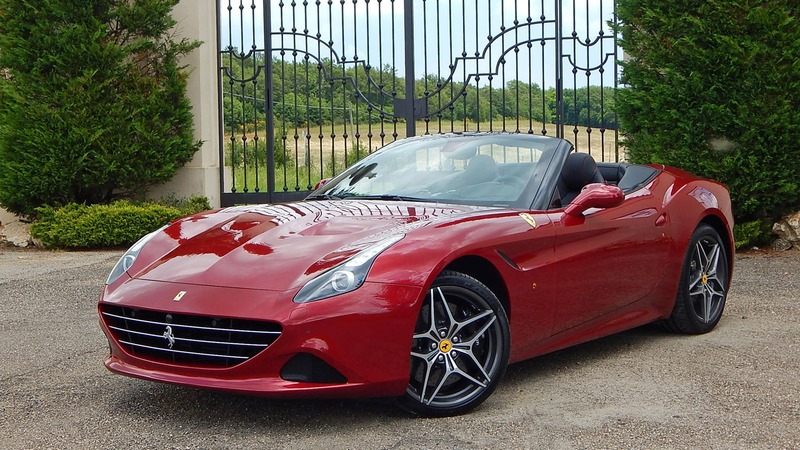 With this sporty retro pick, staying in Montpellier will get a whole new dimension with luxury car rental Montpellier services, marked by classiness and extravagance, with an accent on comfort. And although Panamera remains a perfect choice for a wide range of audience, from speed lovers to newbies it’s always good to follow local traffic regulations in order to avoid tickets. In populated areas the speed limit rarely exceeds 30 km/h while in other parts of the city goes from 30 to 50 km/h, except for some large avenues. On the other hand, for all classic appearance lovers, there’s Audi A5, a potent yet stable model that exudes sophisticated elegance and uncompromising comfort. This model boasts a subtlety that hardly anyone can resist. A stylish vehicle such as this performs great in different conditions which makes it a perfect candidate for your Montpellier trip. The only question is: a convertible or coupé? If you’re going to Espiguette Beach during the summer, go for the convertible and you won’t make a mistake. The list of pros for this model doesn’t end here though; Audi A5 is an excellent choice for business trips also, for it can easily enhance your image and help you finish all the tasks on your business agenda without any stress. It has never been easier to look sharp while enjoying in prestigious German comfort. Voilà! If you’re more an American motoring legacy kind of person, you should definitely try renting an iconic Ford Mustang. And with its recognizable design and opulent appearance, it can be an ideal choice for you. This luxurious vehicle also comes in coupé and convertible forms, so enjoying Montpellier surroundings will be exclusively shaped by your personal preferences. And If your raison d’être is, same as ours, determined by refined yet powerful vehicles, you’ll be utterly satisfied with this foremost Ford’s creation! As for the parking, there are few parking lots in the city center. However, it can get pretty busy and there is always a risk of getting stuck in traffic. Also, the city center itself a traffic-free zone. So, if you are planning on finishing something there, it would be wise to assume that you will need more time than usual. Do not try to compensate it by rushing and getting a speeding ticket, especially while driving through populated areas. You can enjoy in somewhat faster and certainly more stress-free ride on the roads towards the Marseille and Toulouse but we recommend not getting too relaxed at any point. Just relax and enjoy the breath-taking scenery spiced with salty, Mediterranean air while the wheels keep touching the highway concrete with our luxury car rental Montpellier service. Beautiful, isn’t it?